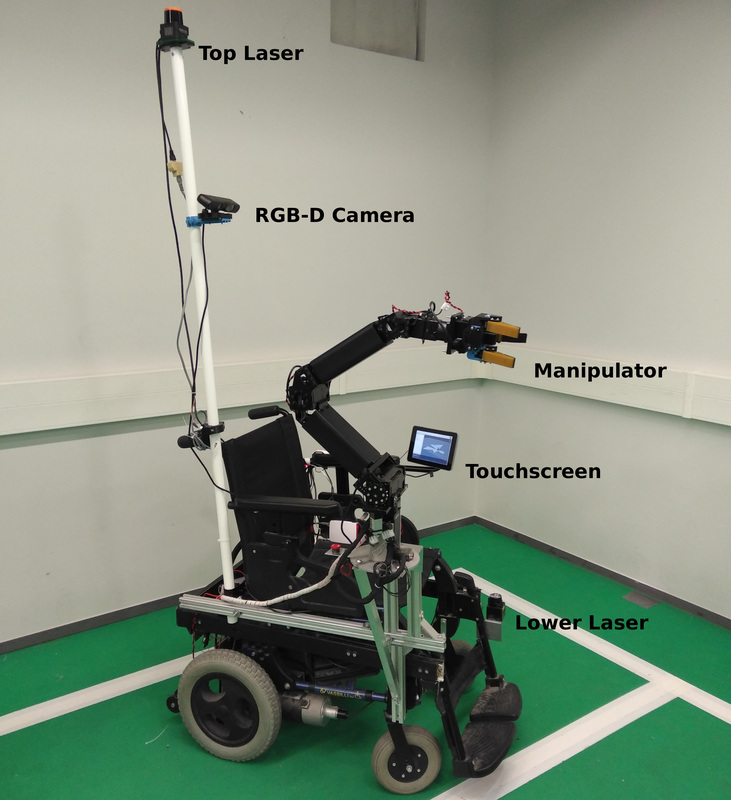 The project aims to develop grasping and manipulation capability along with autonomous navigation and localization in a wheelchair-mounted robotic arm to serve patients. Wheelchair Mounted Robotic Arms (WMRA) is designed to help elderlies and patients with disabilities in the performance of their activities of daily living (ADL). These activities involve reaching for everyday household objects and manipulating them. The main objective of this project is to develop the grasping and manipulation approaches along with a navigating and localization methods that can be performed in the human daily environment. Since the human daily environment is dynamically varied, achieving to this level of autonomy is challenging. For this project, a motorized wheelchair was developed, which several sensors were attached to it. The prototype was also equipped with a touchscreen display and a joystick, for user-interface.